Check Out The New Grom! 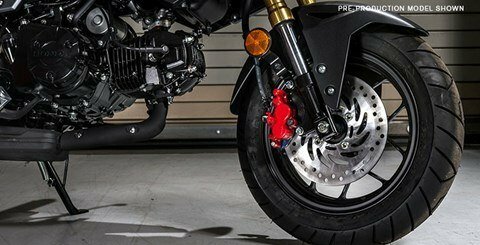 If you—and about three-quarters of the planet—thought the Honda Grom was cool before, check out the new 2017 version! The first thing you’ll notice is the new, aggressive bodywork and rad new colors. 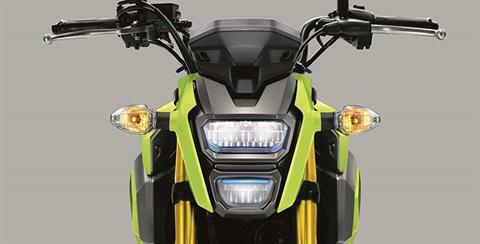 Then pay some attention to the new headlight—its LED design not only looks fresh, but it works great too. There’s a new two-tier seat, a more defined tail section, and a new low-mount muffler design. Some things haven’t changed, though. The Grom still features a 125 cc engine, and its fun factor is still off the charts. 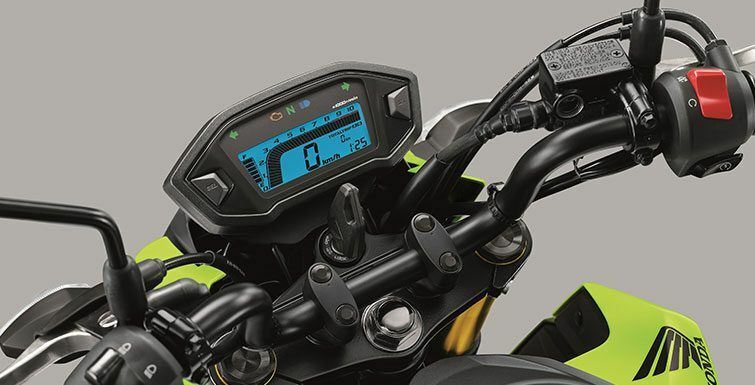 It really is a blast to ride—giving you all the excitement and freedom of a motorcycle, but because it’s so user friendly and approachable it basically eliminates any intimidation factor. 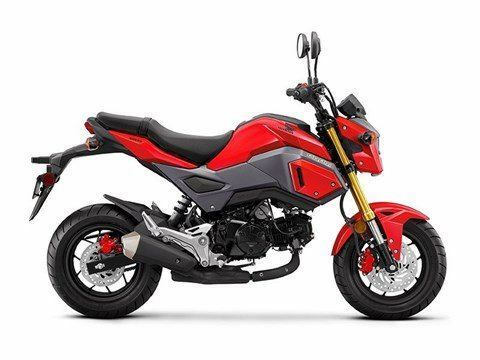 And the Grom makes a ton of sense when it comes to dollars and cents too: You can run it on pocket change, and you can park it just about anywhere too. 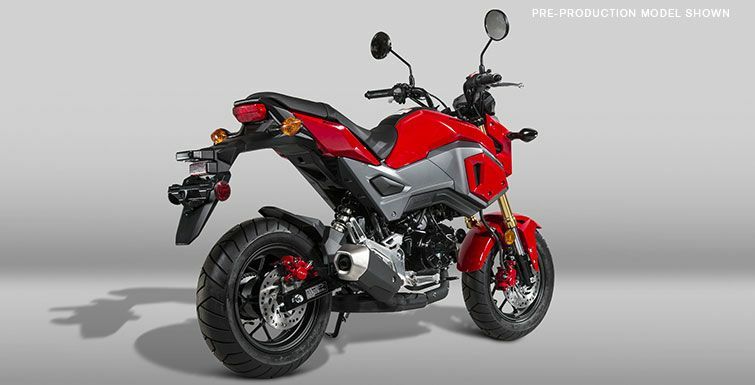 Everyone who sees a Grom can’t help falling in love with this awesome little fun machine. So why not get in on the fun yourself? 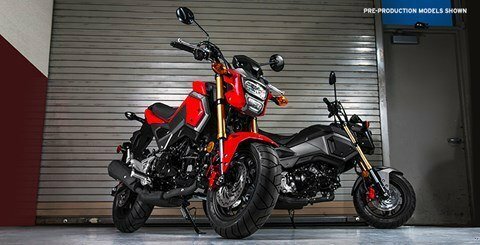 Get a Grom, and let the Gromance begin! NEW LED HEADLIGHT: The Grom’s new, LED projector-style headlight not only looks great and is a major styling element, but it also provides superior illumination. 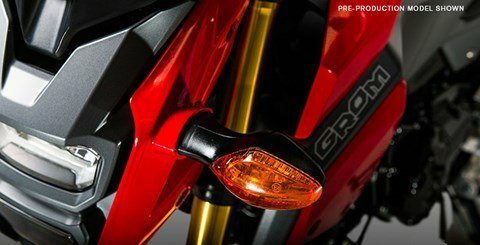 NEW BODYWORK: New aggressive bodywork, a new LED headlight and cowl, and a new low-mount muffler keep the 2017 Grom looking cooler than ever. HYDRAULIC DISC BRAKES: The Grom features 220mm front and 190mm rear single disc brakes for excellent stopping power.